We provide teeth whitening solutions in our dental office and many patients have asked us if a better smile will improve their appearance. We believe so, and now there is evidence to support these claims. Studies have been conducted that show a beautiful smile actually makes a person more attractive and appear younger. Oral-B conducted a study with 2,000 men and women. In the study they wanted to find out if a beautiful smile made someone more attractive and if so by how much. They also wanted to learn if it makes someone look younger. The study found that people with a beautiful smile were 20 percent more attractive than those without. Additionally, a bright smile can make a person look five years younger than their age. This is incredible when you consider how easy it is to improve a smile, simply schedule an appointment with the dentist. Match.com also completed a study on attractiveness. This wasn’t directly tied to teeth but rather gave people the opportunity to identify the one aspect that they felt was the most attractive when looking for someone to meet. They were given both physical attributes and personality traits to select from. Both women and men gave the same answer – a beautiful smile. This makes teeth whitening essential for those who want to improve their appearance. Fortunately, modern dentistry has made it easy to have a gorgeous smile. People born with crooked teeth and those with yellow stains or damaged teeth can turn to cosmetic dentistry for the answers and solutions. There are a variety of things that can help including dental veneers, crowns, and orthodontics. All of these should start with a whitening procedure. 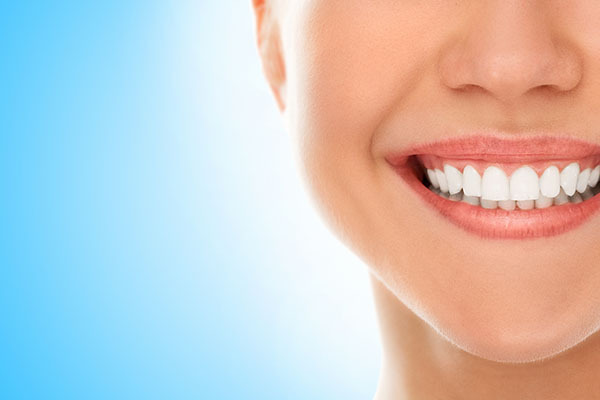 Teeth whitening is affordable, pain-free, and easy. It is important to do this first before any other cosmetic dental work because the materials used in things like veneers is both stain and bleach resistant. In order to get started, we create a mold of our patient’s mouth so that a customized whitening tray can be created in a lab. This tray is made of plastic and fits securely around the teeth so that it cannot fall out of place or become loose. This is incredibly important because drug store solutions do not have a perfect fit and solution commonly leaks out of them. This turns away many people that want whiter teeth but have had a bad experience. What is created in the dentist office is customized for each patient so that the experience is positive every time. To whiten their teeth all a patient has to do is put the whitening solution into the trays and secure them into place around the teeth. They should be worn for a couple hours a night for a week or longer, based on how white a person wants their teeth to become. Once the desired shade is reached, the procedure can stop and be used for another time. The process is that simple and the results are truly dramatic. Patients who want even faster results can get them with our in-office whitening procedure that is completed in around an hour. According to both Match.com and Oral-B, a beautiful smile can make you more attractive right away so call and schedule your appointment today.